Nigeria’s oil minister, Emmanuel Ibe Kachikwu, apologized on Tuesday for the shortage which has left many travelers stranded on highways this week. Kachikwu told the Senate that the government is “pained” by the crisis and promised to bring an end to the disruption by the second week of April. Analysts, however, say it will take longer to resolve a shortage they say is the product of longstanding refinery issues and pipeline outages. During his Senate appearance, Kachikwu also apologized for responding to earlier questions about the fuel shortage by stating that he was “not a magician. The problem lies primarily with Nigeria’s aging refineries “which are not functioning effectively even when they are well supplied,” said Charles Swabey, oil and gas analyst at London-based BMI Research. These deficiencies have been exacerbated recently by unplanned pipeline outages that have created more uncertainty in domestic supply, Swabey said. The outages include those caused by attacks on strategic oil and gas installations in the southern Niger Delta. 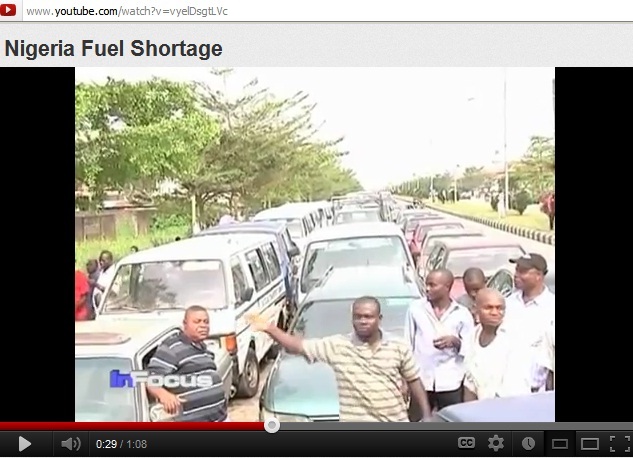 Some consumers suspect some oil marketers in Nigeria are creating the shortage for profit. 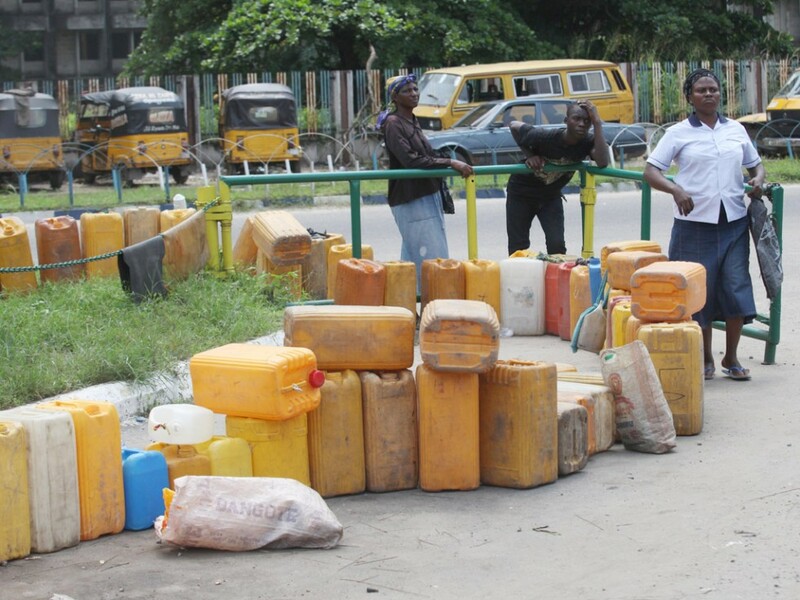 “There’s fuel, they just refuse to sell it,” cab driver Muhammadu Jakawa said. Nigeria is Africa’s main oil exporter but imports most of its petrol because it lacks the capacity to refine it. 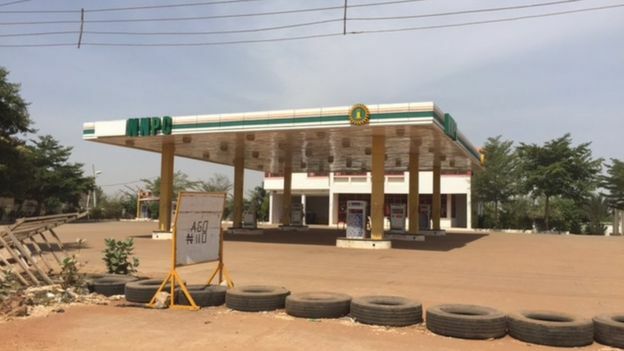 The BBC’s Bashir Sa’ad Abdullahi in the capital, Abuja, says previous governments tended to pay the wholesale fuel sellers without parliamentary approval. “I have been here for more than 12 hours and I don’t know if I will get the fuel at all,” he said. Another motorist said he was in the queue for about eight hours and “only people with connections were being allowed to buy the fuel”. 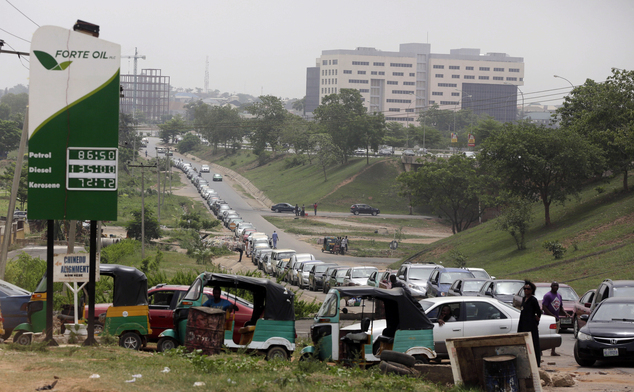 LONDON, June 1 (Reuters) – Nigeria faces fuel shortages as a crackdown on fraud and the government’s lack of funds to pay for subsidies has prompted private firms to halt imports, which could trigger unrest and harm the country’s faltering economic expansion. Half the money set aside for fuel subsidies this year has been spent on back payments and will soon run out. But efforts to remove the subsidy at the start of the year failed after protests and strikes forced the government to backtrack. As a result, Nigerian and foreign firms are no longer willing to supply and distribute gasoline for cash, making Nigeria wholly dependent on swaps for crude to meet its fuel needs. 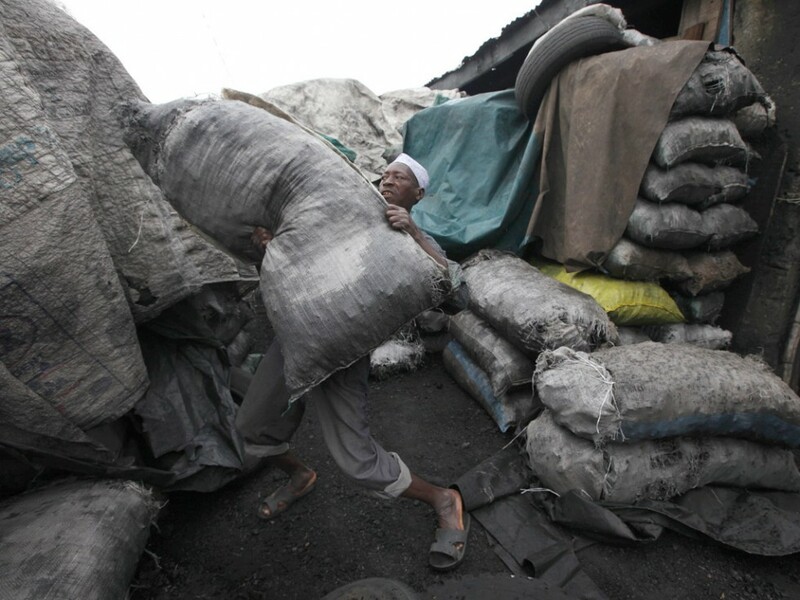 Nigeria’s finance ministry cut its economic growth forecast this month to 6-7 percent in 2012, from 7-8 percent earlier, and fuel shortages could bring it down further. Protests could also erupt, as they have before over the subsidy, a highly emotive issue. Nigeria is Africa’s biggest crude exporter, but is forced to subsidise imports of gasoline to meet the bulk of its fuel needs because it lacks refining capacity. A probe into the subsidy scheme found billions of dollars had been paid for fuel that never arrived or was resold abroad. “Under the system it is impossible to make any profit if you are a small company paying interest on the subsidy money owed,” said Emmanuel Ogwiji, a director at Eco-Regen, a small firm that imported gasoline last year. Despite presenting the authorities with documentation proving its activities were regular, his company had to wait half a year to be paid for the delivery. Gasoline import permits have been issued to 42 marketers this quarter, but barely any have made use of their licences, shipping records show. 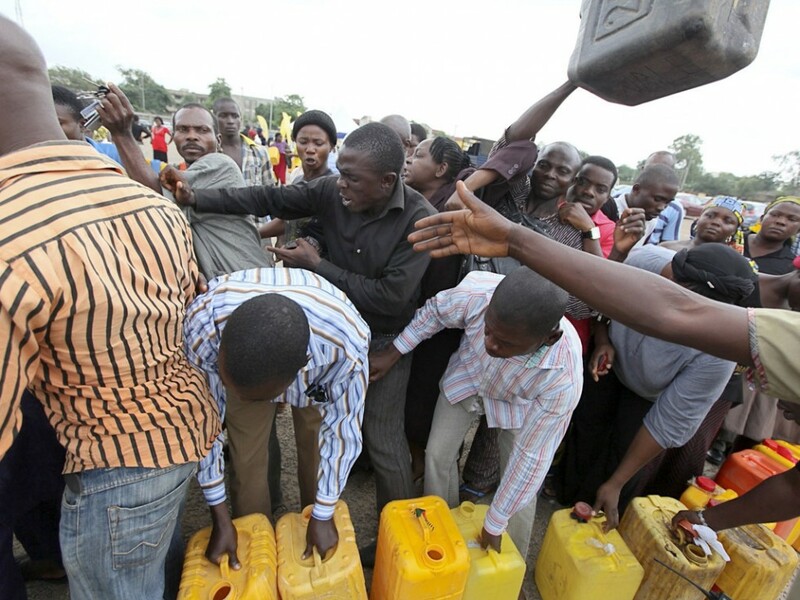 Instead, Nigeria has become dependent on a small pool of firms that are being paid for gasoline in oil. “The government has stopped paying for the subsidy because the money they budgeted for has run out already,” said a trader based in Nigeria with an oil major. “This will definitely lead to shortages. I am hearing people have stopped loading,” he added. Crude is also being used to cover huge demurrage fees incurred by delays arising from ships being forced to wait offshore for weeks at a time before unloading. At present, there are half a dozen or more tankers waiting offshore to deliver gasoline to Nigeria. Some have been there since April. With demurrage costs at $16,000-$23,000 per day, significant volumes of oil are being lifted just to pay for delays. “Only the big companies can survive. Even if you do meet requirements to import, like owning tank storage, you are still going to make losses. Some companies are still waiting for payments from last year,” Ogwiji continued. A spokesman for the state oil company, Levi Ajuonuma, on Friday denied that any firms could be using crude to buy refined fuel. In a statement on Wednesday, the Finance Ministry denied that the crackdown on subsidy fraud was causing fuel shortages. Nigeria has annual crude for product swap deals in place with at least two international oil trading firms – Trafigura and Sahara Oil. Other exchanges are organised on shorter terms and some spot deals may also be negotiated as required. These are seen to be lucrative for traders as payment in crude is prompt and delivery terms are flexible. They also use crude oil to pay demurrage fees. “Small firms have to battle for their subsidy money, but with crude it’s relatively easy. They pay for everything with oil, including demurrage fees” said a trader. “You can lift the crude whenever you want, and then deliver the gasoline when they ask for it,” said a trader. Nigeria budgeted 888 billion naira ($5.55 billion)for fuel subsidies this year but it has already spent 451 billion naira on back payments for 2011, the state oil company and finance ministry said, more than double what it had expected to pay in arrears. The pool of suppliers delivering gasoline to Nigeria has shrunk as private importers hold out for subsidy payments for fuel aleady delivered, fearful the money may never materialise. The Nigerian company in charge of arranging swap deals, a unit of the Nigerian National Petroleum Company, is dealing with just a handful of companies that have the resources to market crude oil received as payment for the fuel. As a result, deliveries of gasoline have plummeted by over a third, according to the even the most conservative estimates by traders. “Only a certain number of crude cargoes go against gasoline – I’d say the equivalent of six cargoes of gasoline only, and they need 14 a month of gasoline” said a gasoline trader. President Goodluck Jonathan, the state-owned oil company NNPC and the finance ministry pledged to clean up any inefficiencies, but the latest data shows spending remains out of control. Africa’s biggest crude exporter will need to dip into its oil savings once the budgeted amount runs dry. It has only around $3.5 billion left in the excess crude account (ECA) which is supposed to cushion the economy against sudden oil price falls. It contained more than $20 billion in 2007 but has been depleted by continual raiding, despite a period of record oil prices.